I feel it holds true to all beautiful and bold women out there. Beautiful picture and words. Thanks, Saru… 🙂 I feel the same…. Yes bold is beautiful – I like the whole theme around red. Great pairing w/the photograph. Wow… a poem as beautiful as the red flower. 🙂 Bold is indeed beautiful. Oh! 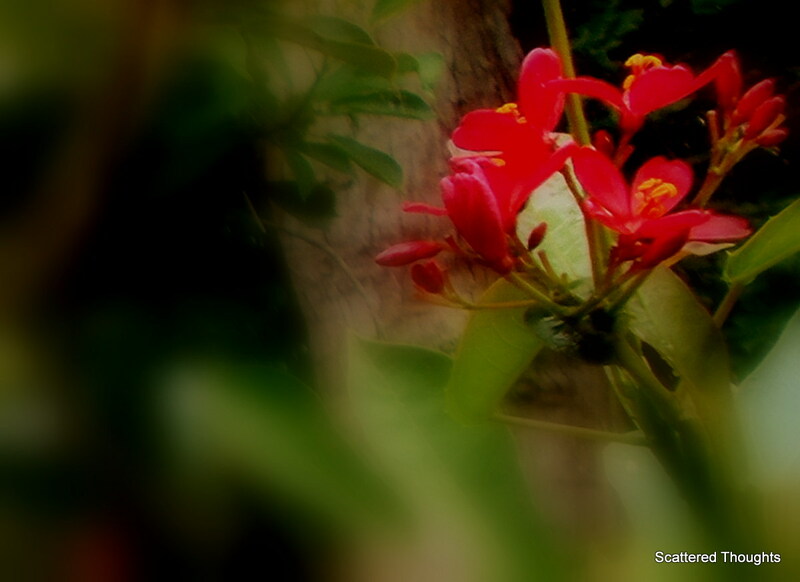 Yes, it is a wonderful depiction, red flowers in the vastness of the green nature stands out. Red signifies the vibrancy and the aggressiveness of life and beauty personifies with red colour…it is about how we read red. Beautiful picture with words that evoke passion! Splendid indeed. Nicely captured beauty of red flower. Oh yeah ..not a haiku..but a beautiful poem. 🙂 My mistake.